I'm so proud of my friend. Mandy Jameson! Today her novel, "Landsliding" was published on Amazon Kindle. Mandy and I belong to the Parisot Writing Group. I've followed her progress on this story from idea, to work-in-progress, to almost done to publication. I know the blood, sweat and tears that went into its creation. I was honored to be one of Mandy's beta-readers. Now I'm more than pleased to see it in print and to encourage you to buy it! "Landsliding" is a story of relationships and secrets and how the two collide in the lives of Julia and Brendan. Julia's marriage has just fallen apart. She feels alone and adrift; her friends help, but something is still missing. Then Brendan appears in her life. Is he too good to be true? Julia's friends seem to think so, but Julia is smitten. When doubts intrude, things take a dark turn. Secrets have twisted more than one life in this novel. 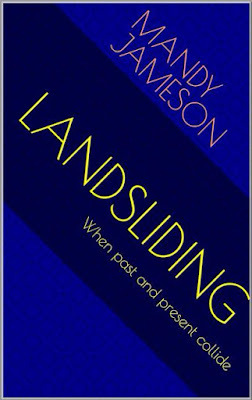 "Landsliding" can be purchased on Amazon.com.